En anterior post se había tratado algo parecido con un indicador de o a 100 % de que tanto viable o no viable era tal o cual tecnología en un aspecto específico. En la presente figura pueden ser con un sí o un no (.). Todas las tecnologías son viables actualmente. Obviamente mientras que a mayor capacidad instalada los costos se reducen, el proyecto se hace más viable y los tiempos de inversión se acortan. Aclaro que procuro en éste blog pensar en producción de energía eléctrica en grande, es decir de varios MW o por decir varias decenas de MW o más, dado que eso es lo que pide el mercado eléctrico. Una microred por ejemplo es hasta 10 MW, la generación distribuida es de 50 MW y así por decirlo y hay más: centrales virtuales, smart grids, etc. 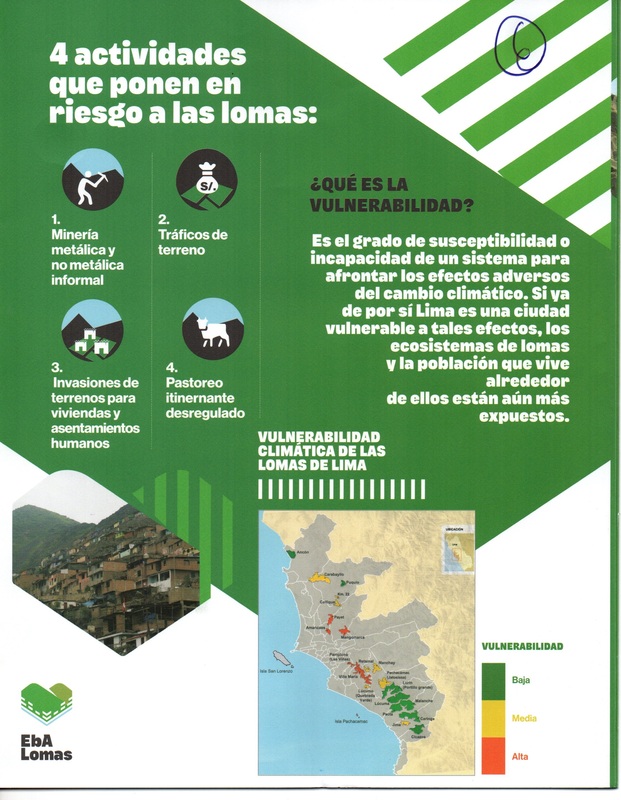 En los conceptos de Ambiente y Disponibilidad, se tiene que analizar algunas tecnologías en base a las repercusiones del cambio climático en cada país y región dentro de cada país. 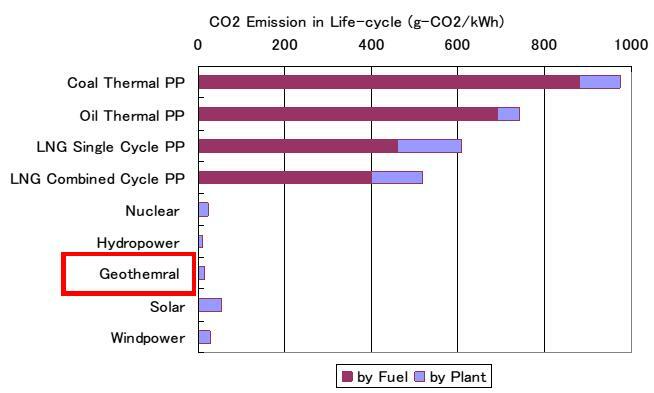 El factor de capacidad de planta es un parámetro importante dentro del estudio de una planta o central eléctrica. 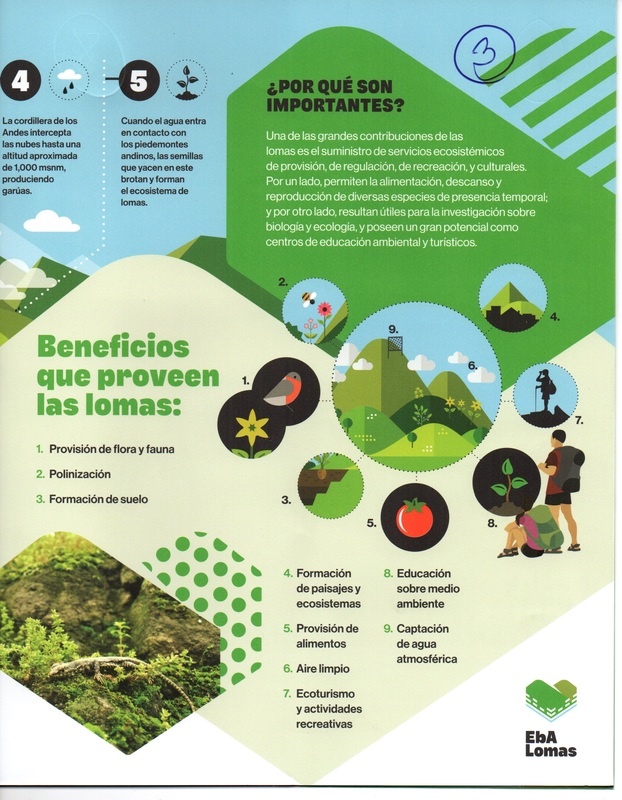 A veces puede tener un valor interesante desde el punto de vista de ingeniería, pero a los inversores no les gusta siempre, ellos desean tener los más altos valores en capacidad de planta, de esta manera la producción esta asegurada a cada vez más cerca a la capacidad instalada. 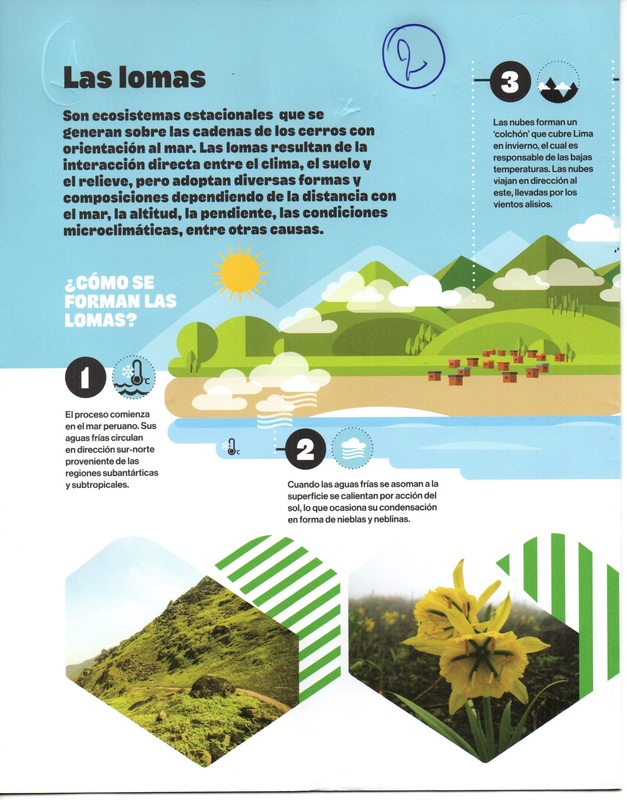 La gráfica del presente post muestra un promedio de las capacidades de planta de diferentes centrales de generación eléctrica con tecnologías renovables (consideren que mi opinión es que el small hydro no es tecnologías renovables) y entre ellas lo que es geotérmica tiene un alto valor dado que el recurso siempre está disponible de ser explotado si es posible a su máxima capacidad. Algunos problemas con la obstrucción de ductos, formación de caliches, entre otras cosas son los que reducen en parte la capacidad de planta, pero esto frente a las demás tiene una gran diferencia. Si se ha implementado tecnologías como las PV y las eólicas que tienen una menor capacidad de planta, la geotérmica tiene la perspectiva de ser implementada a gran escala, pero seguro que para eso falta mejorar algunas tecnologías para que lo hagan más viable. 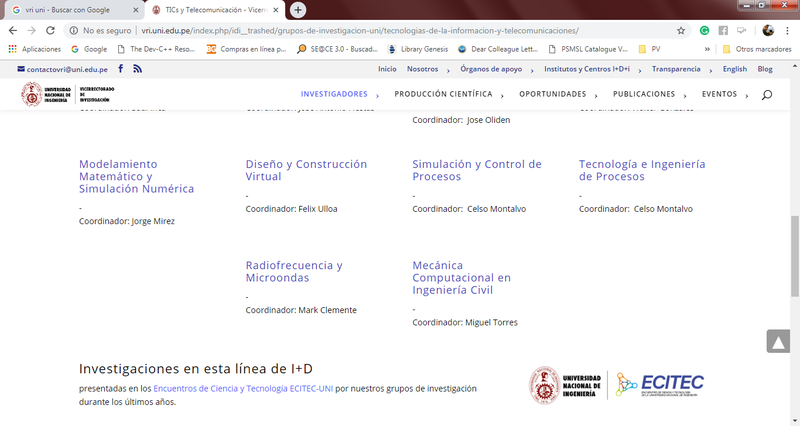 En ello de hecho interviene la industria, universidades y centros de investigación que desean comprarse el lío de investigar y desarrollar tecnologías y materiales para hacer posible ello. In the present post a comparasion has been development between differents energy sources: Coal, Oil Thermal, Single Cycle, Combined Cycle, Nuclear Power, Hydropower, Geothermal (my lecture interest in this days in this days), Solar PV Power and Windpower Plant. There is one cycle call “binary cicle” in Geothermal with minimum impacto in enviromental (cuasi zero CO2). Goethermal have a good potential in applications as heat and electric power generation. In Perú it have a promisore future and other countries too. 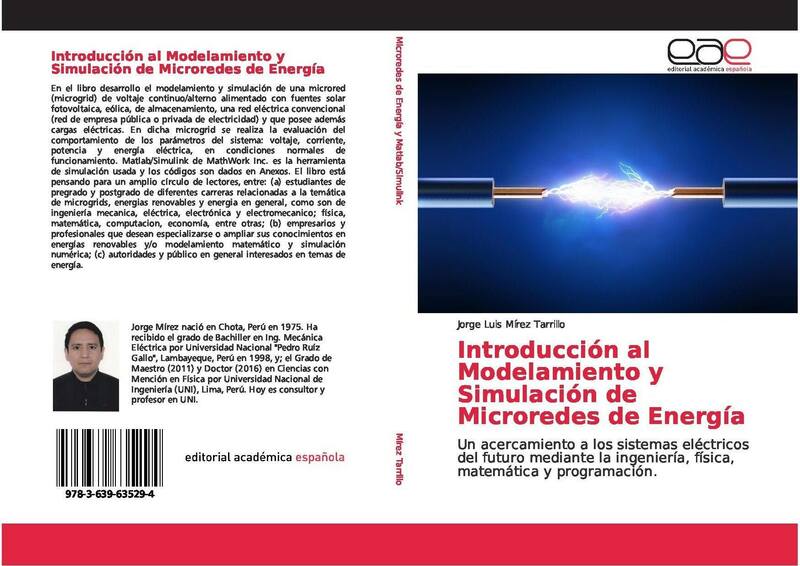 Mathematical models and numerical simulations in Matlab/Simulink of this topic is of my interest. En lo que son energías renovables hay diferentes tecnologías que permiten la generación de electricidad a partir de fuentes renovables. En la gráfica se muestra una comparación entre ellas, aunque sinceramente esto de las “Pequeñas Hidroeléctricas” no debería ser planteado como fuentes renovables, porque de hasta 20 MW ya involucra un cambio serio en el entorno medioambiental, hay que colocar un embalse y varias cosas más incluido la infraestructura y cambia el microclima local… Creo que lo colocaron para que digan: “estamos haciendo algo”… Bueno, hay calificativo de favorable y no favorable para los siguientes conceptos: Costos de generación; potencial técnico; desarrollo de la industria; estabilidad de la planta; factor de capacidad; potencial de uso combinado; emisiones de CO2 y uso de tierras. 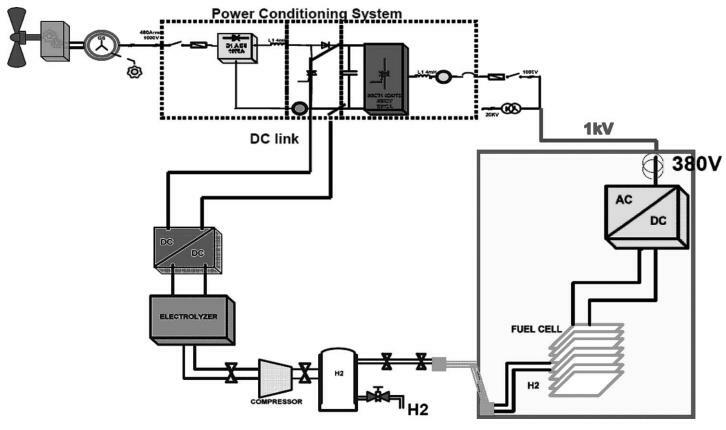 The dc-bus microgrid link the diferent component of the microgrid both loads as sources. 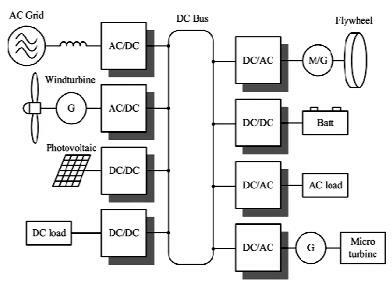 The figure is a general representation with conextion to AC-grid, wind turbine, PV solar plant, DC and AC loads, Batteries, fluwheel, micro turbine, AC/DC converser, DC/AC converser and DC/DC converser. 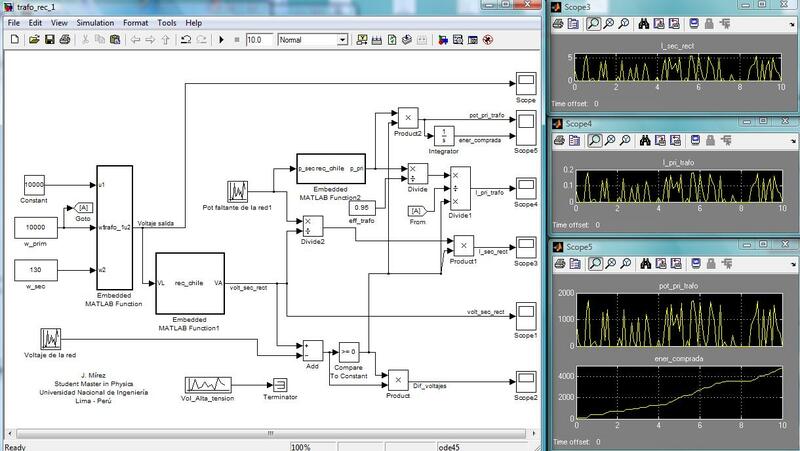 J982e: Control of active and reactive power in a wind turbine with multipole PMSG…. The control methods for a DFIG-based WTS are shown in Figure. Below maximum power production, the wind turbine will typically vary the rotational speed proportional with the wind speed and keep the pitch angleθ fixed. At very low wind speed, the rotational speed will be fixed at the maximum allowable slip to prevent over voltage of generator output. A pitch angle controller is used to limit the power when the turbine output is above the nominal power. The total electrical power of the WTS is regulated by controlling the DFIG through the rotor side converter. The control strategy of the grid side converter is simply just to keep the dc-link voltage fixed. It is noted that a trend is to use a crowbar connected to the rotor of DFIG to improve the control performance under grid faults. The size of individual wind turbine is also increasing dramatically to obtain a reduced price per generated kilowatt hour. In 2012, the average turbine size delivered to the market was 1.8 MW, among which the average offshore turbine has achieved a size of 4-MW. The growing trends of emerging turbine size between 1980 and 2018 are shown in Figure, where the development of power electronics in the WTS (rating coverage and function role) is also shown. It is noted that the cutting-edge 8-MW wind turbines with a diameter of 164 m have already shown up in 2012. Right now most of the turbine manufacturers are developing products in the power range 4.5–8 MW, and it is expected that more and more large wind turbines with multimegawatt power level, (even up to 10-MW will appear in 2018), will be present in the next decade—driven mainly by the considerations to lower down the cost of energy. 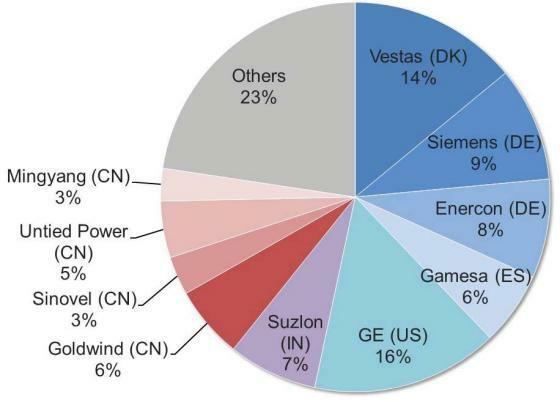 Regarding the markets and manufacturers, the U.S. became the largest markets with over 13.1 GW capacity installed in 2012, together with China (13 GW) and the EU (11.9 GW) sharing around 87% of the global market. The Danish company Vestas first gives out the top position among the largest manufacturers since 2000, while GE catches up to the first because of the strong U.S. market in 2012. 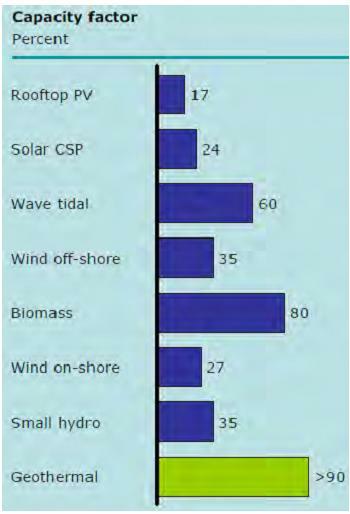 Figure summarizes the worldwide top suppliers of wind turbines in 2012. It is seen that there are four Chinese companies in the top 10 manufacturers with a total market share of 16.6%, which is a significant drop compared with the 26% in 2011. 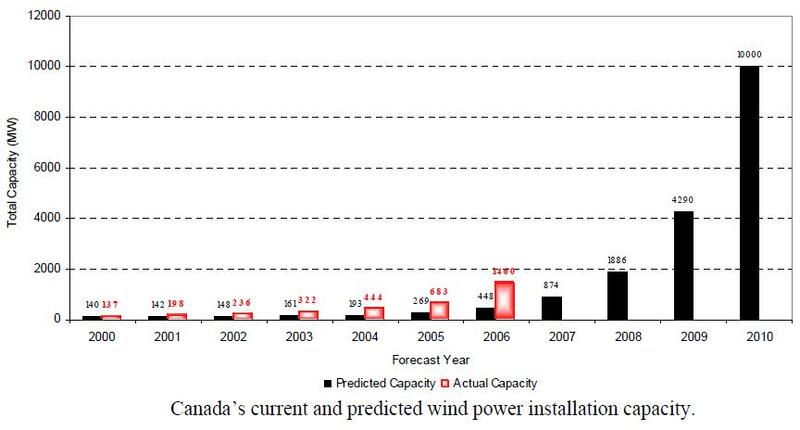 The cumulative wind power capacity from 1999 to 2020 is shown in Figure, and it can be seen that the wind power has grown fast to a capacity of 283 GW with ∼45 GW installed only in 2012, and this number is expected to achieve 760 GW in 2020 on moderate scenario . The wind power grows more significant than any other renewable energy sources and is becoming really an important player in the modern energy supply system. As an extreme example Denmark has a high penetration by wind power and today > 30% of the electric power consumption is covered by wind. This country has even the ambition to achieve 100% nonfossil-based power generation system by 2050. 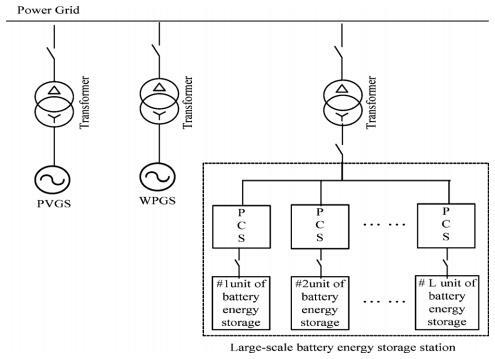 The Figure shown an example of Wind PV BESS hybrid power generation system with large-scale battery energy storage station (it is in BESS – Battery Energy Storage Station). It is used for compensation of aleatory energy production from wind turbine or PV plant. This BESS have orden of MW’s both for charge/discharge process. 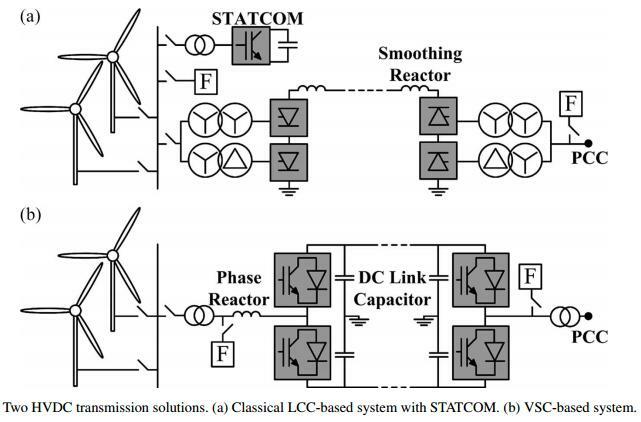 Xiangjun Li, Dong Hui and Xiaokang Lai “Battery Energy Storage Station (BESS) – Based Smoothing Control of Photovoltaic (PV) and Wind Power Generation Fluctuations”. IEEE Transactions on Sustainable Energy, Vol. 4, No. 2, April 2013. J970e: Typical compensation system for renewable energy applications based on flywheel energy storage…. 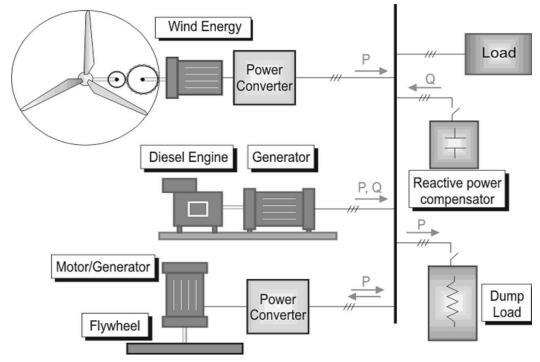 There are two broad classes of flywheel-energy-storage technologies. One is a technology based on low-speed flywheels (up to 6000 r/min) with steel rotors and conventional bearings. The other one involves modern high-speed flywheel systems (up to 60 000 r/min) that are just becoming commercial and make use of advanced composite wheels that have much higher energy and power density than steel wheels. This technology requires ultralow friction bearing assemblies, such as magnetic bearings, and stimulates a research trend. Most applications of flywheels in the area of renewable energy delivery are based on a typical configuration where an electrical machine (i.e., high-speed synchronous machine or induction machine) drives a flywheel, and its electrical part is connected to the grid via a back-to-back converter, as shown in Figure. Such configuration requires an adequate control strategy to improve power smoothing. The basic operation could be summarized as follows. When there is excess in the generated power with respect to the demanded power, the difference is stored in the flywheel that is driven by the electrical machine operating as a motor. On the other hand, when a perturbation or a fluctuation in delivered power is detected in the loads, the electrical machine is driven by the flywheel and operates as a generator supplying needed extra energy. 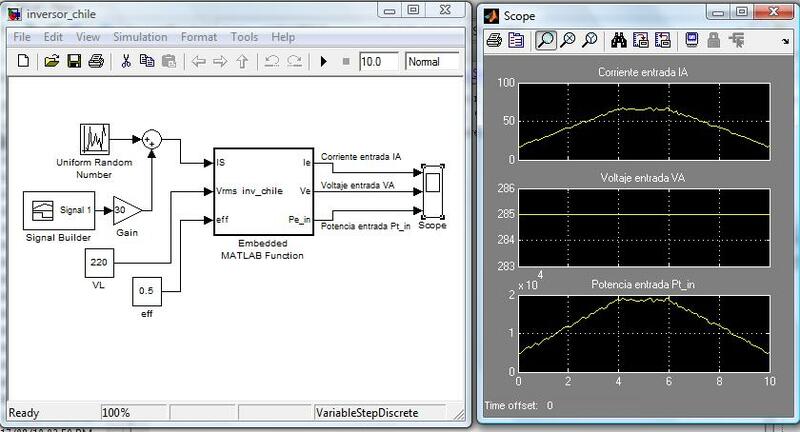 A typical control algorithm is a direct vector control with rotor-flux orientation and sensorless control using a model-reference-adaptive-system (MRAS) observer. As the wind penetration increases, the hydrogen options become most economical. Also, sales of hydrogen as a vehicle fuel are more lucrative than reconverting the hydrogen back into electricity. Industry is developing low-maintenance electrolysers to produce hydrogen fuel. Because these electrolysers require a constant minimum load, wind turbines must be integrated with grid or energy systems to provide power in the absence of wind. 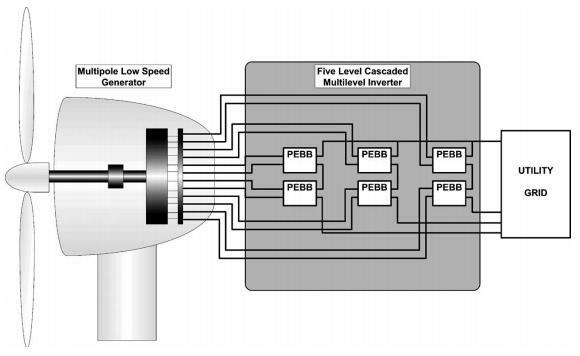 J968e: Five-level cascaded multilevel converter connected to a multipole low-speed wind-turbine generator…. 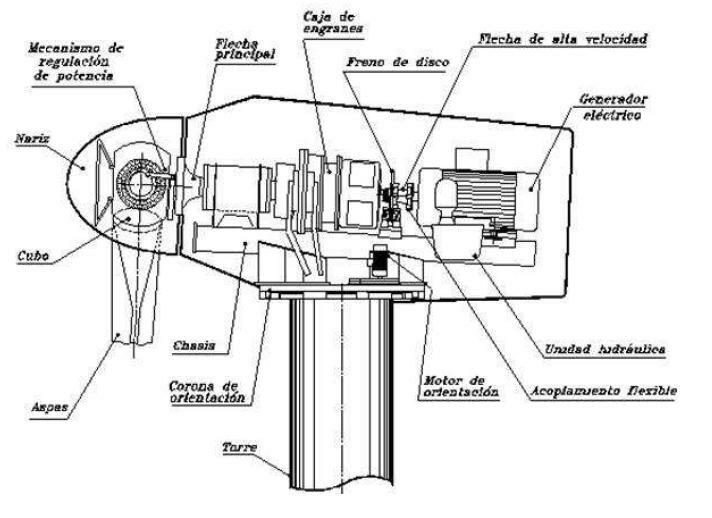 The use of low-speed permanent-magnet generators that have a large number of poles allows obtaining the dc sources from the multiple wounds of this electrical machine, as can be seen in Figure. In this case, the power-electronic building block (PEBB) can be composed of a rectifier, a dc link, and an H-bridge. Another possibility is to replace the rectifier by an additional H-bridge. The continuous reduction of the cost per kilowatt of PEBBs is making the multilevel cascaded topologies to be the most commonly used by the industrial solutions. 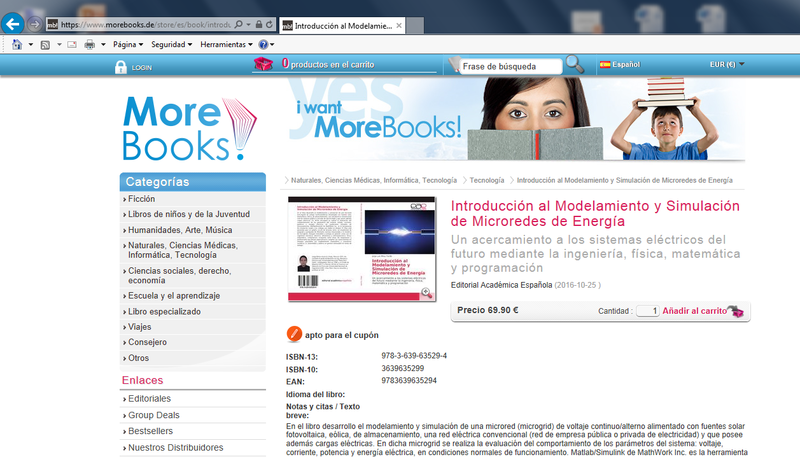 This as one alternative to multinivel conversors.